I’m very pleased to be able to publish this latest post, written by Dominic Cole of dceielts.com. Dominic is a very experienced teacher with a practical eye to teaching and learning. This guest post offers a clear explanation of how to view each part of the Speaking exam. 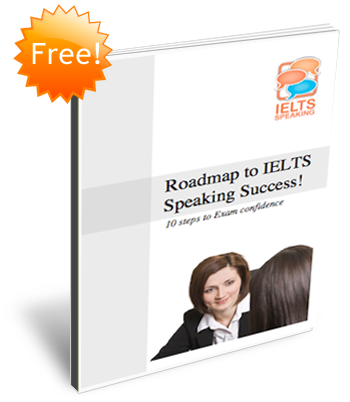 How does the IELTS Speaking exam relate to real-life situations? 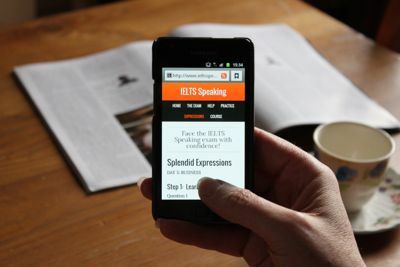 The IELTS Speaking test has its own special rhythm and it helps to respect that rhythm. What this means is that the test gets harder as it goes along and that each part of the test asks you to speak in a different way. One way to think about this is to see how each part of the test reflects a different social occasion. The general idea is that you can use the everyday speaking skills you have in your own language to help you in the exam – it’s not really the case that you need lots of “exam” skills. Part 1 – small talk – who are you? This is the easy part. Small talk is what we do at social occasions to be polite. You meet someone new and you chat to them. The idea is that they want to know a little bit about you to see if you are their sort of person. Say too little (“I come from a small family – full stop”) and that’s rude, say too much (“Wuhan is located at 30 degrees latitude..etc..etc..”) and that’s just boring. It may help to think of the examiner as someone you want to start a relationship with! Exam tip: Don’t try and do too much. The examiner has lots of questions to ask you here (around 12), and the questions are meant to be simple. The hard questions come later, save your energy for them in part 3. Preparation tip: Learn to make some eye contact. This is difficult for some candidates. Very nearly 100% of the most confident speakers I know make eye contact and this is one part of the test where you should be confident. Part 2 – the get together – do you remember the time…? and say why you remember that meal. Exam tip: How do you tell a good story? Some people find this harder than others. Detail is the answer. What detail do you need? As ever with IELTS, the clue is in the question: the cue card tells you what details to use with the who/when/where/what questions. Be smart and use the cue card to help you. Preparation tip: By all means find some practice cue cards and see what sort of topics you may need to talk about. My best suggestion though is to look through the pictures on your camera roll. What you will see there are the ideas you need to use – people, things and events in your life – you are always talking personally in this part of the test. Part 3 – the interview – are you good enough? This is much the hardest part of the test. Unlike part 1, the questions are thinking questions and that means you need to think and speak at the same time – tough. Unlike part 2, you get no thinking time – tougher yet. That’s the bad news. The good news is that you’ve had 10 minutes to warm up. If you have respected the rhythm of the test, you should get to part 3 already thinking and speaking English. The format is really just the standard interview. Here are some questions to see if you “think on your feet” in English. You should already be prepared because the questions follow the topic of part 2, but this is the one area of the test that you may need to use speaking strategies. Exam tip: As someone who has done lots of oral examining (not IELTS), I can tell you the ultimate strategy is to answer the question! It’s surprising how few people do this. I’d simply add that “I don’t know” and “I’m not sure” can be the most intelligent answers provided you expand them appropriately. Preparation tip: You want to find a site that can help you with the right language and strategies. If you are reading this, you are already here!! !